Robyn Rihanna Fenty was born in the year 1988. 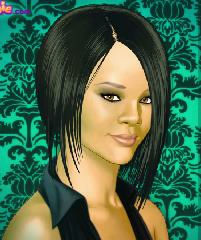 Her stage name is Rihanna and she has earned six Grammy Awards. Rihanna consistently reinvents her image and style. In this game you can be her hair stylist and makeup stylist.